​Micro-Mesh cushioned abrasives are made with a flexible cloth backing, topped with a layer of especially formulated latex. Silicone carbide or aluminum oxide crystals are bonded into this layer flexible latex resin. The various sizes of abrasive grit are adhered on the cloth backing in such a manner that the crystals are held in a resilient matrix, as opposed to a hard matrix (such as what is normally used in sandpaper or emery cloth). ​When contact pressure is applies to the work piece, Micro-Mesh crystals recede and rotate slightly to present their sharp cutting edges evenly across the surface, cutting together on the same plane with a positive rake. Because the crystals can move back into the cushion, a very fine scratch pattern is produced with a relatively large crystal. The result is a uniform, even surface pattern the requires fewer aggressive steps to produce the final finish. The larger crystals and the flexible glue bond result in longer lasting material the resists loading and heat build up. This results in reduced polishing time and produces a fine uniform scratch pattern.  Gel-Coated Fiberglass Boats, Hot Tubs, etc. 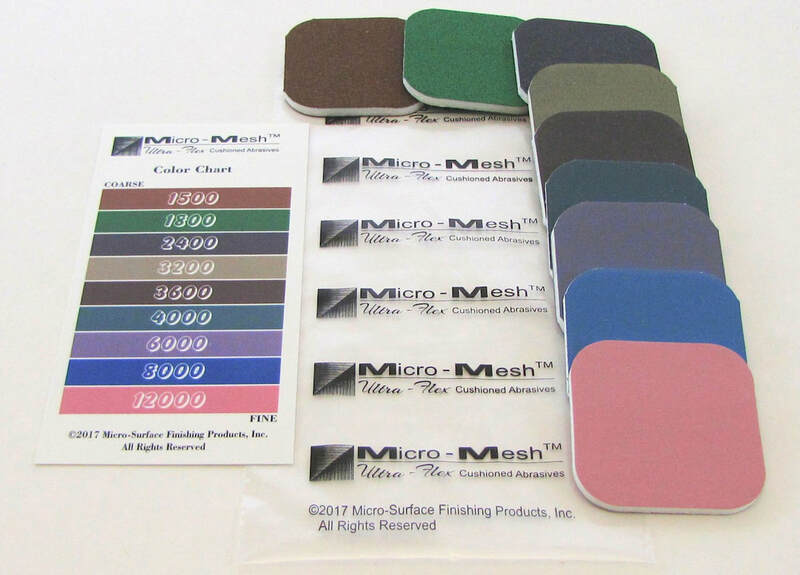 The normal procedures for polishing with Micro-Mesh involves the use of a range of abrasive sheets. By beginning the the coarser grits and successively using finer grits, mirror finishes can be obtained. The starting grit size is determined by how deep the scratches or imperfections are on the item being polished. A wide range of grit sizes from 80 microns down to less than 2 micros are available. Micro-Mesh Regular (silicone carbide grit with standard backing) - The standard grade of Micro-Mesh used for the majority of operations on plastics, paints, wood and most metals and polymers. It is used to produce a uniformly smooth surface and bring the surface to a high gloss finish. Available in grades 1500 to 12000 (30 to 2 microns). Micro-Mesh MX (silicone carbide grit with heavier backing) - This grade of Micro-Mesh is similar the standard grade except that it has a slightly stiffer cloth backing and has several coarser grits available. Primarily used on metals to bring the surface to a micro finish. Using a combination of one or more of the MX series, a sub 1.0 micro-inch RA can be achieved. Available in grades 80MS to 1200MX 945 to 3 microns). Micro-Mesh Aluminum Oxide (aluminum oxide grit) - This grade of Micro-Mesh was designed specifically for finishing aluminum and other solid surfaces. Available in grades 1500 AO to 12000 AO (30 to 2 microns).